SOLD... and they got their new dream home too! A Picture perfect single story "Doll House" in beautiful "Palisades Pointe" truly is a "Carlsbad Treasure" Freshly painted.. neat as a pin... and Spotless. The spacious open flowing floorplan is the main appeal of this home. 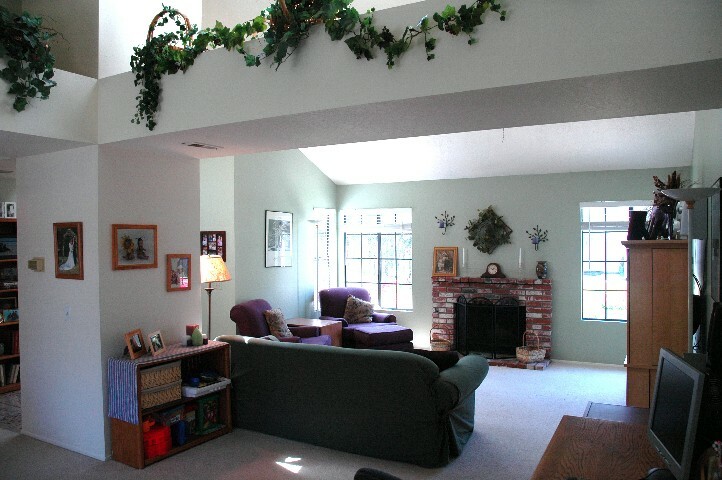 Vaulted Ceilings... multiple skylights... and tons of windows make it bright and cheerful. 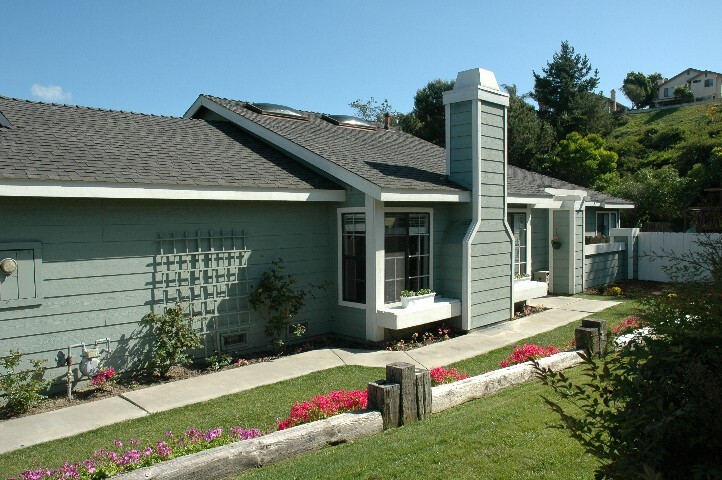 Situated in weather paradise and just blocks from the Tamarack Surf Beach the warm Winters and cool Summers make it a gardeners dream home. Situated in the Carlsbad Unified School District the home is served by Magnolia Elementary , Valley Middle School and Carlsbad High School . These award winning public schools are in addition to a large choice of private and religious schools. 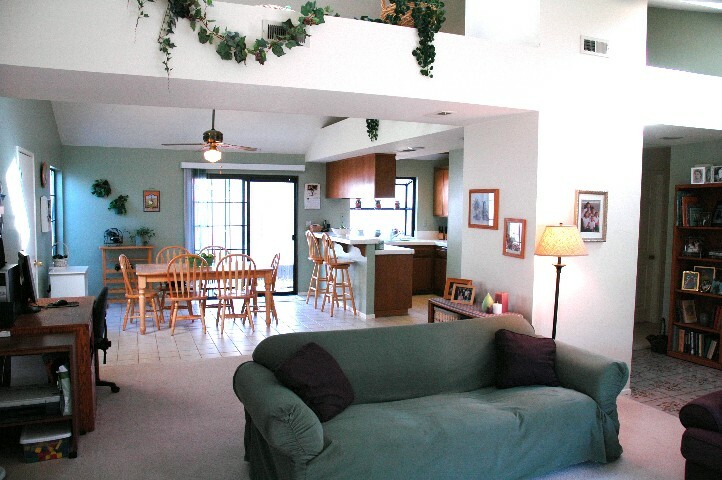 Wide open spaces... and dramatic ceilings... evident in the photos... cause the home to feel much larger and spacious. Not a single inch of wasted space. The cozy "masonry" fireplace just waits for the next owner's Christmas Stockings. 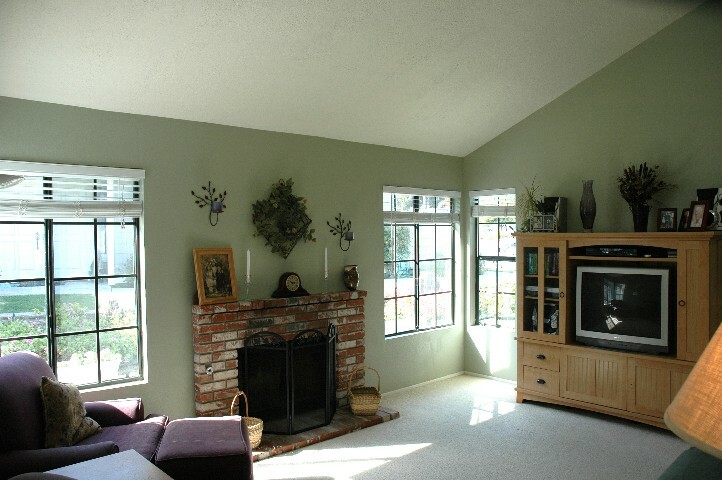 Fresh Paint... bright skylights... and decorator blinds accent the openness. Of course we have four season here... but... a fireplace in Carlsbad is a decorator item... not supplemental heating! After all this is "Weather Paradise"! Everybody loves Kitchens. Every party ends up there. This wonderful floor plan puts the cook right in the middle of everything. Family size Dining Room... plus the "Breakfast Bar"... miles of counter space... and a garden window for your collectibles. From the Kitchen you can be part of the activity anywhere in the great room. Easy access to the side and rear yard through the sliding glass door... and windows.. to keep an eye on things. Across the dining room from the Kitchen is the access to the spacious attached two car garage. 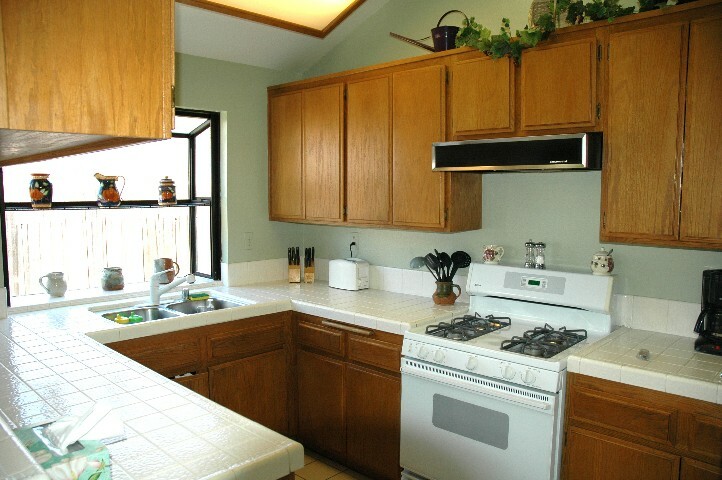 While everybody loves a Kitchen... you may not want to always cook... and Carlsbad offers a wealth of "Dining Choices" . If you want our personal picks... see "Terri & Paul's Restaurant Guide".